Our team can accommodate both commercial and residential clogged drain requests in FishHawk, FL. A clogged drain is a frustrating problem that most homeowners will experience, and probably more than once. Someone in the home might have flushed something down a drain that is too large to move through the pipe, or you might just have a buildup of debris that can’t get through the plumbing. 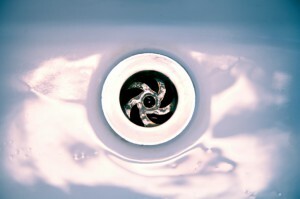 Signs that you have a clogged drain include slow-moving water in a sink or shower, or water rising up through a floor drain or other drain in your home. Since even a small amount of water can cause a lot of problems, such as mold growth, damage to flooring and drywall, and loss of personal possessions, it is important to get the problem fixed as soon as possible. You can try a few at-home remedies to try to get the drain moving again. Steer clear of commercial drain products, since the chemicals in these can cause corrosion and other damage to pipes. Instead, try flushing boiling water and/or white vinegar down the drain to try and break up the clog. You can also use a plunger to move the clog through the pipes. If these options aren’t working, contact our plumbing technicians at A Step Above Plumbing. We have been providing clogged drain repair and other plumbing services in the FishHawk, Florida area since 2003. Our team can accommodate both commercial and residential requests, so contact us if you have an issue that needs attention. We offer earlier start times on weekdays, making it easier to accommodate your work schedule and other commitments.